Allahabad Bank 2018 Jobs Recruitment. 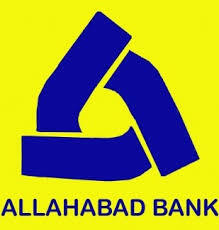 Allahabad Bank is inviting applications for the positions of Probationary Officer/Management Trainee. Interested and Eligible candidates can apply for the positions. 1. The online examination (Preliminary and Main) for the next Common Recruitment Process for selection of personnel for Probationary Officer/ Management Trainee posts through IBPS. 3. Educational Qualifications: A Degree (Graduation) in any discipline from a University recognised by the Govt. Of India or any equivalent qualification recognized as such by the Central Government. The candidate must possess valid Mark-sheet / Degree Certificate that he/ she is a graduate on the day he / she registers and indicate the percentage of marks obtained in Graduation while registering online. 5. Calculation of Percentage: The percentage marks shall be arrived at by dividing the total marks obtained by the candidate in all the subjects in all semester(s)/year(s) by aggregate maximum marks (in all the subjects irrespective of honours / optional / additional optional subject, if any) multiplied by 100. This will be applicable for those Universities also where Class / Grade is decided on basis of Honours marks only. The fraction of percentage so arrived will be ignored i.e. 59.99% will be treated as less than 60% and 54.99% will be treated as less than 55%. (v) Mark-sheets or certificates for Graduation or equivalent qualification etc. Proper document from Board / University for having declared the result on or before 04.09.2018 has to be submitted. (vi) Caste Certificate issued by the competent authority in the prescribed format as stipulated by Government of India in the case of SC / ST / OBC category candidates. Candidates belonging to OBC category but coming under creamy layer and/ or if their caste does not find place in the Central List are not entitled to OBC reservation. (vi) Caste Certificate issued by the competent authority in the prescribed format as stipulated by Government of India in the case of SC / ST / OBC category candidates. (viii) An Ex-serviceman candidate has to produce a copy of the Service or Discharge book alongwith pension payment order and documentary proof of rank last / presently held (substantive as well as acting) at the time of interview. Those who are still in defence service should submit a certificate from a competent authority that they will be relieved from defence services, on or before 03.09.2019. (x) Persons eligible for age relaxation under II (5) must produce the domicile certificate at the time of interview/ at any stage of the subsequent process from the District Jurisdiction where he / she had ordinarily resided or any other authority designated in this regard by the Government of Jammu & Kashmir to the effect that the candidate had ordinarily domiciled in the State of J&K during the period from 01.01.1980 to 31.12.1989. (xiv) Any other relevant documents in support of eligibility. 1. Candidates will have to invariably produce and submit the requisite documents such as valid call letter, a photocopy and original of photo-identity proof bearing the same name as it appears on the online submitted application form etc. at the time of examinations (Preliminary & Main) and interview respectively. 2. Before applying for the post, the candidate should ensure that he/she fulfils the eligibility and other norms mentioned in this advertisement. Candidates are therefore advised to carefully read this advertisement and follow all the instructions given for submitting online application. 3. All the candidates who wish to apply under CRP-PO/MT-VIII are hereby informed that providing AADHAR number or AADHAR Enrolment number in the application, for CRP-PO/MT-VIII is optional. 4. A Candidate’s admission to the examination/ shortlisting for interview/ and subsequent processes is strictly provisional. The mere fact that the call letter(s)/ provisional allotment has been issued to the candidate does not imply that his/ her candidature has been finally cleared by IBPS/ Participating Organisation. IBPS/ Participating Organisations would be free to reject any application, at any stage of the process, cancel the candidature of the candidate in case it is detected at any stage that a candidate does not fulfill the eligibility norms and/or that he/she has furnished any incorrect/false information/certificate/documents or has suppressed any material fact(s). If candidature of any candidate is rejected for any reason according to the terms and conditions of this advertisement, no further representation in this regard will be entertained. Such decisions shall be final and binding on the candidate. If any of these shortcomings is/are detected after appointment in a Participating Organisation, his/her services are liable to be summarily terminated. 5. Decision of Nodal Banks/Participating Organisations/ IBPS in all matters regarding eligibility of the candidate, the stages at which such scrutiny of eligibility is to be undertaken, qualifications and other eligibility norms, the documents to be produced for the purpose of the conduct of Examination, interview, verification etc. and any other matter relating to CRP-PO/MT-VIII will be final and binding on the candidate. No correspondence or personal enquiries shall be entertained by IBPS/ Participating Organisations in this behalf. 7. The left thumb impression which is scanned and uploaded should not be smudgedThe hand written declaration has to be in the candidate’s hand writing and in English only. If it is written by anybody else and uploaded or in any other language, the application will be considered as invalid. 1. Candidates can apply online only from 14.08.2018 to 04.09.2018 and no other mode of application will be accepted. c. left thumb impression (If a candidate is not having left thumb, he/she may use his/ her right thumb. If both thumbs are missing, the impression of one of the fingers of the left hand starting from the forefinger should be taken. If there are no fingers on the left hand, the impression of one of the fingers of the right hand starting from the forefinger should be taken. If no fingers are available, the impression of left toe may be taken. In all such cases where left thumb impression is not uploaded, the candidate should specify in the uploaded document the name of finger and the specification of left/right hand or toe). d. a hand written declaration (text given below) (In case of candidates who cannot write may get the text of declaration typed and put their left hand thumb impression below the typed declaration and upload the document as per specifications). ensuring that the all these scanned documents adhere to the required specifications as given in Annexure III to this Advertisement. 4. The above mentioned hand written declaration has to be in the candidate’s hand writing and in English only. If it is written by anybody else or in any other language, the application will be considered as invalid. Keep the necessary details/documents ready to make Online Payment of the requisite application fee/ intimation charges. 5. have a valid personal email ID, which should be kept active till the declaration of results of this round of CRP. IBPS may send intimation to download call letters for the Examination etc. through the registered e-mail ID. Under no circumstances, a candidate should share with/mention e-mail ID to / of any other person. In case a candidate does not have a valid personal e-mail ID, he/she should create his/her new e-mail ID before applying online and must maintain that email account. (3) Candidates are required to upload their: Photograph, Signature, Left thumb impression, A hand written declaration. 6. Candidates are advised to carefully fill in the online application themselves as no change in any of the data filled in the online application will be possible/ entertained. Prior to submission of the online application candidates are advised to use the “SAVE AND NEXT” facility to verify the details in the online application form and modify the same if required. No change is permitted after clicking on FINAL SUBMIT Button. Visually Impaired candidates are responsible for carefully verifying/ getting the details filled in, in the online application form properly verified and ensuring that the same are correct prior to submission as no change is possible after submission. 7. Candidates should carefully fill in the details in the On-Line Application at the appropriate places very carefully and click on the “FINAL SUBMIT” button at the end of the On-Line Application format. Before pressing the “FINAL SUBMIT” button, candidates are advised to verify every field filled in the application. The name of the candidate or his /her father/husband etc. should be spelt correctly in the application as it appears in the certificates/mark sheets. Any change/alteration found may disqualify the candidature.